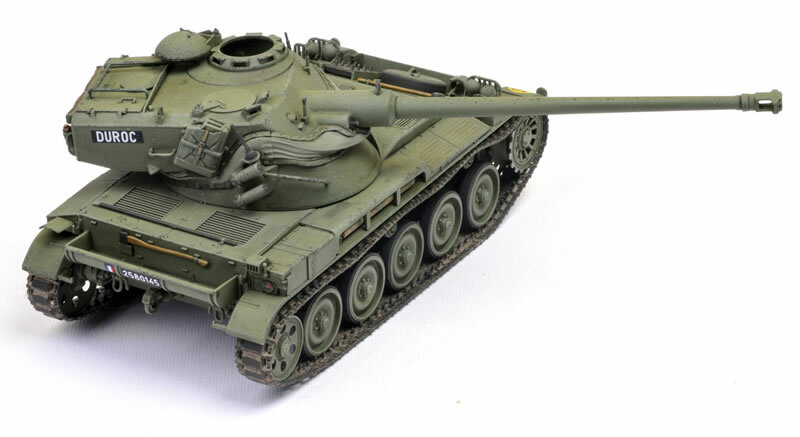 Here is Tamiya's brand new 1/35 scale AMX-13/75. 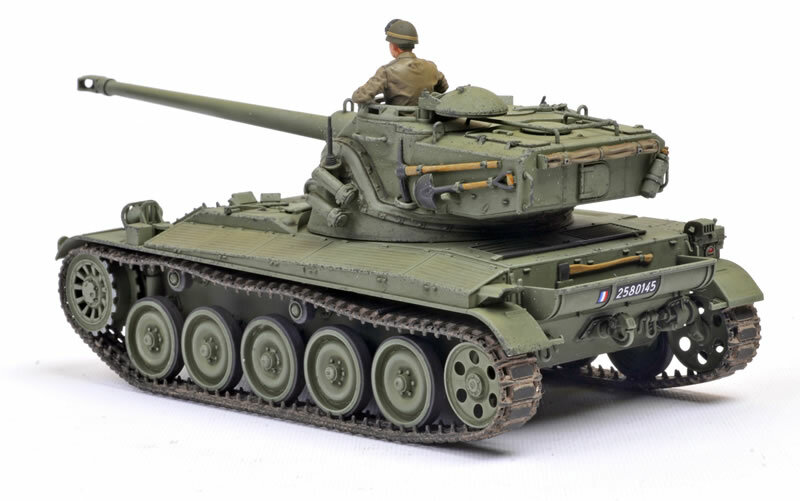 I wasn't really enamoured with the overall green French options offered in the kit and bought Israeli decals, but this would require a bit of conversion and shuffling of stowage. Tracks aren't right for the Israeli option either. I therefore pushed on with the French version, building the kit almost straight from the box. The only exceptions are brass rods through the lower hull to produce the typical drape of the upper track run; and a clear set of goggles for the Commander. 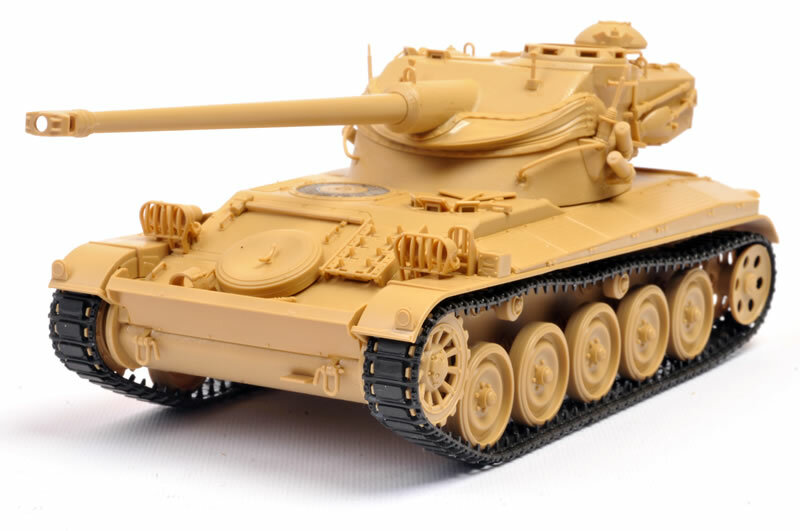 This is a spare from the recent Tamiya 1/35 M4A3E8 "Easy Eight" clear sprue. Oh, and I added a strap for the goggles from painted Tamiya masking tape. This was a fast and enjoyable build. 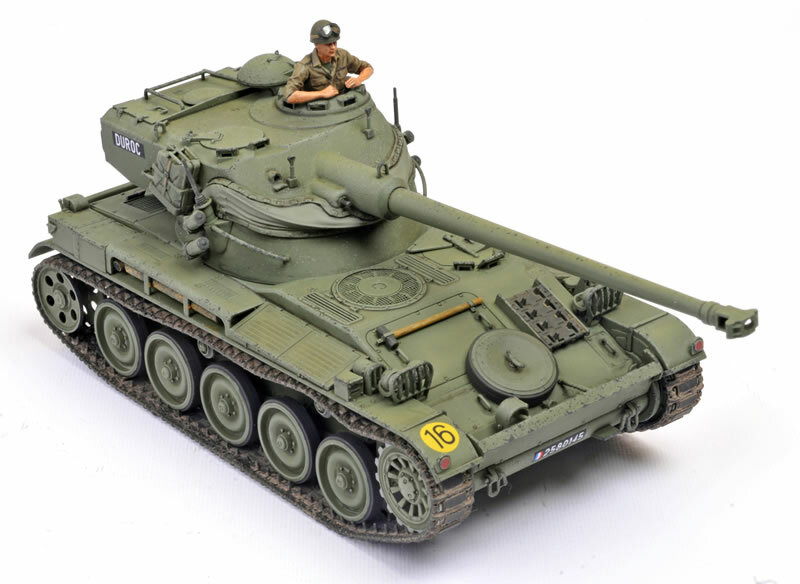 I'll be covering it in detail in Issue 123 of Model Military International magazine. MMI is now also available as a digital magazine that you can read on your PC or Mac home computer. This means it is a lower price, and that the issues are available easily on day of publication the world over.